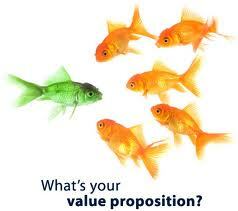 How to Optimize Your Value Proposition! 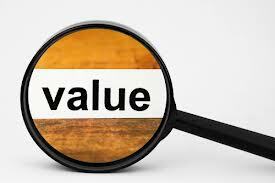 Home > Blog > Blog > How to Optimize Your Value Proposition! There are so many companies around which almost do similar thing, in such case what is that will prompt the users to buy your product. Your value proposition should clearly speak as to why the consumer should buy from you. It should empower the messages that you snuff out on every marketing channel as it speaks to the heart of your competitive benefits. 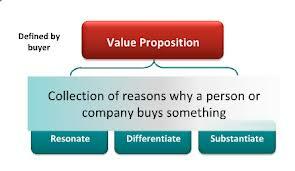 Why your value proposition needs optimization? Your value proposition is the first thing your visitor will look into when online whether it is your website, Social profiles and other collaterals. You need to convey your message across in one sentence that why and how your offerings are great. Hence, it is no wonder to test this one liner of yours to ensure if you are putting across the right message. Besides, various surveys in past have revealed a fact that companies who test their value proposition are more likely to produce return on investment for their optimization line up. In fact, it was almost 15% more than those who didn’t test their value proposition in that given point of time. It’s wise to test your value proposition if changing a single sentence will give you 15% hike in your ROI. It means a lot. The good idea is to describe and move your value proposition internally first. Take views from people within your company and see if everyone in your company agrees to it. After this you can have a look on your competitors and their value proposition and scrutinize if yours is worth, unique and can move ahead defying all competitions. After you have got good purchase signals when circulated your value proposition internally, move it out among the people on a high traffic landing page. Try out all the versions of your value proposition and see how this experiment benefits you in deciding the best one. Obviously, the consumers who know nothing about your company will be totally blank if you will ask them to explain what value your company gives. Hence, keep correcting your message and changing the phrase or word until your value proposition seems lucid and compelling.